Once upon a time, I was accused of being this girl by someone I respected. And you know what happened? I didn't question it. I accepted it as the truth. I became that girl. Looking back, that was the point when everything changed for me. I wasn't Anxiety Girl before. This person, for some reason, turned me into her. And once you become Anxiety Girl, it's hard to turn back. It snowballs into something bigger, and before you know it, you lose your positive outlook on life. Instead of waking up each day and expecting greatness, you think to yourself, great, can't wait to see what goes wrong this time. I hate that I let a comment from someone who I now realize didn't understand me at all affect me so much. I hate it. 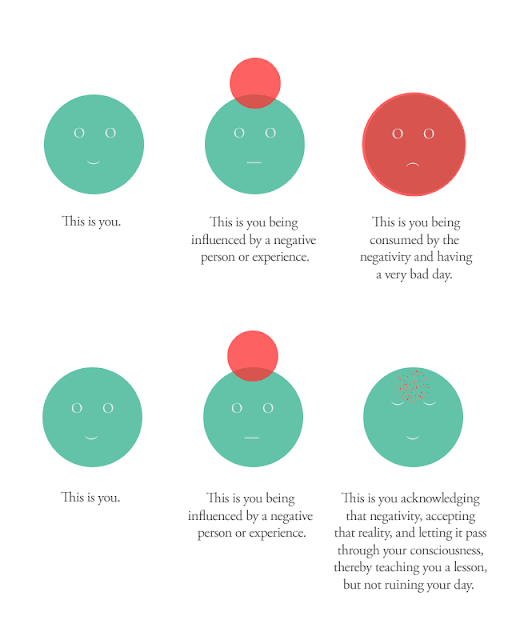 But I have come to realize that I can either continue to beat myself up for it, continue to dwell on it, and continue to be Anxiety Girl- the first You illustrated above- or I can take a deep breath and just LET IT GO. 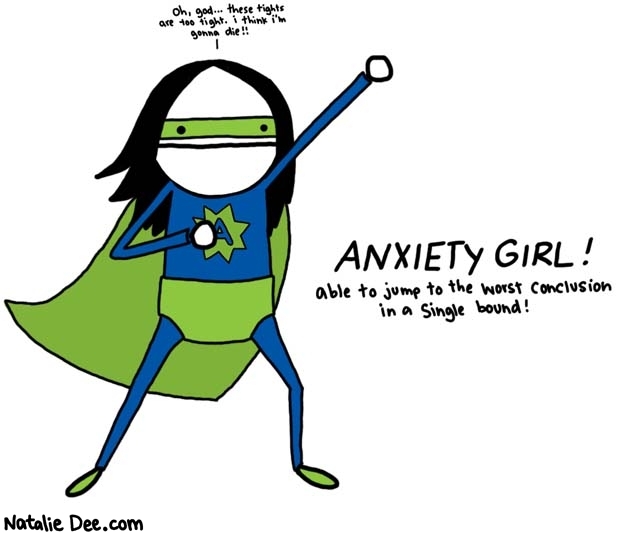 So I'm hanging up my Anxiety Girl cape. I'm going to let it go. I want to be the second You. That's who I used to be, and that's who I can and will be again.